One of Soph’s friends has lent us Dan Lepard’s The Handmade Loaf book. 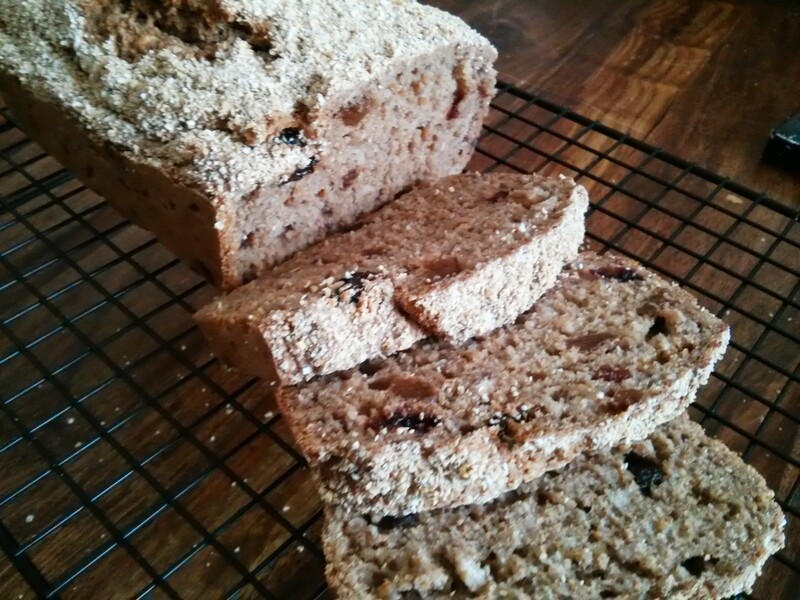 It’s has a lot of interesting ideas for bread, including an oaty rye bread. So I decided to try it out, and in the process use some muesli I had lying around! 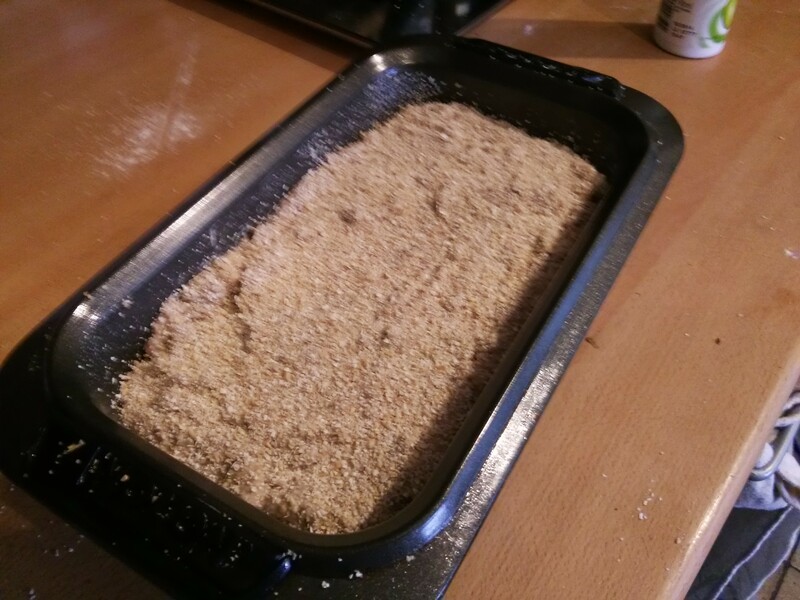 This went into the tin, and then I topped with some oatbran. As always the thing exploded in the oven! 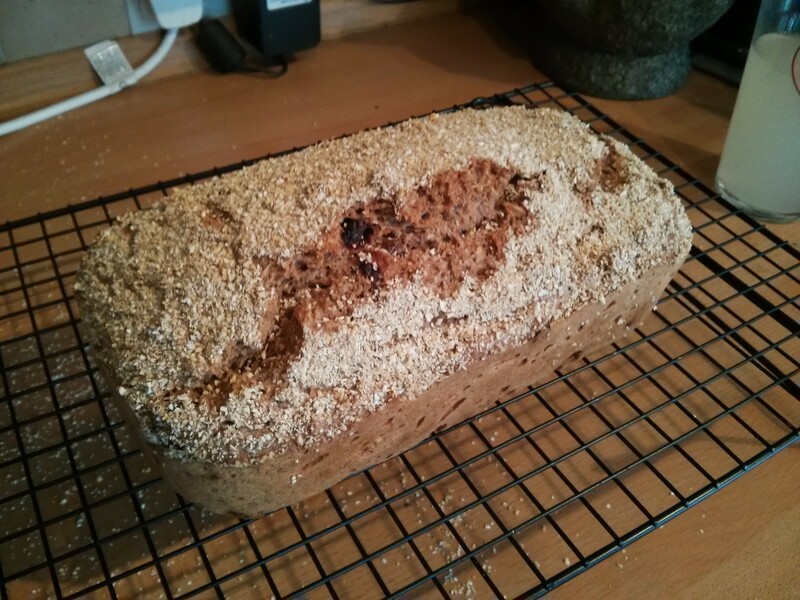 But it’s looking pretty good… just need to let it cool before having a taste now. An hour or so later, and mmm it tastes good! The main difference is the bits of fruit form the muesli, but the oaty is there underneath. It looks very tempting but I’d be a bit worried about it “exploding” in the oven. Hope you don’t have to scrape it down from the oven walls. It doesn’t actually fling dough everywhere! I just mean the top splits.